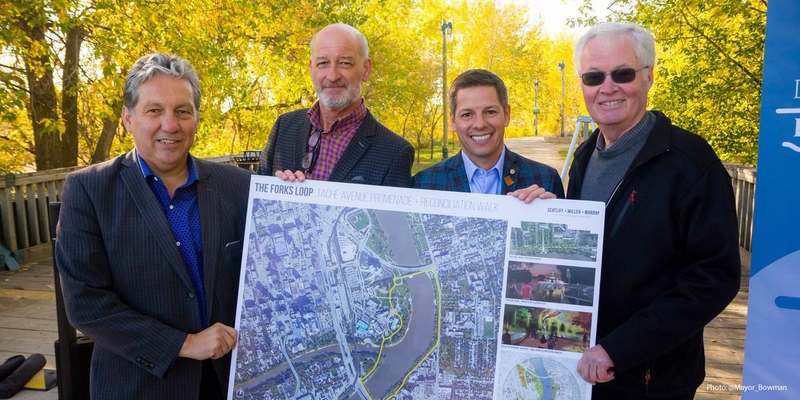 The South Point lands, at the Forks have been purposely left “vacant” for close to three decades in anticipation of just the right type of development. What has evolved from a creative collaboration of the designers at SMM with indigenous artists, curators and historians will be a cultural and recreational amenity; a place that celebrates and generates an awareness of the rich Indigenous cultures and peoples that are at the roots of our treaty’s, city’s and province’s heritage. 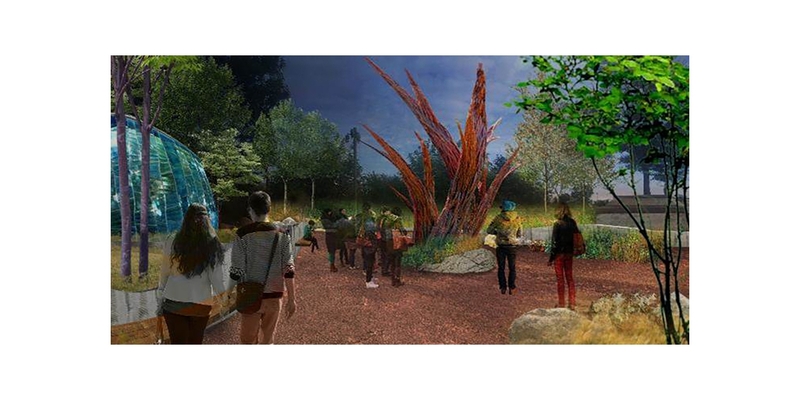 The vision for the remnant forest lands will be a journey through a series of places and sensory experiences, providing interpretation and stories of reconciliation and treaty through art and installation. The themes, upon which the art is built upon, are integral to and form the foundation for learning and understanding and have emerged from what we see as inherent to this landscape and what we know about the history of the people and the place. The art takes on many forms to heighten our awareness of the place using all of our senses. 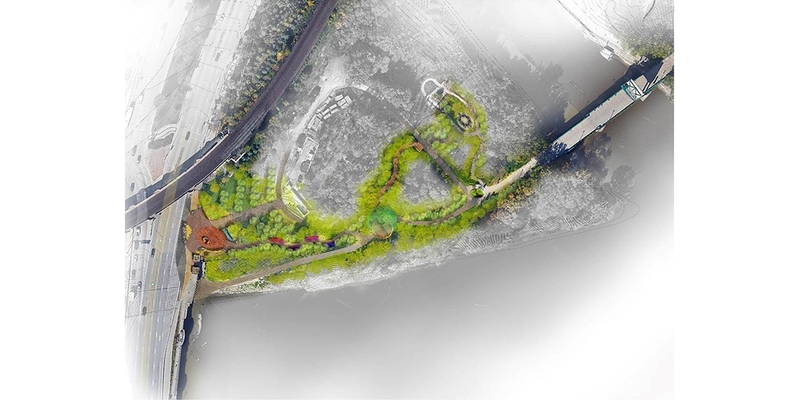 The project is to be phased in along with a new accessible walking trail. The first art piece will establish the gateway from the south, and will be an expression of unity and family. For the project, SMM, in partnership with the Forks Renewal Corporation, is working with a team of indigenous artistic and academic experts and advisors including; Dr. Niigaan Sinclair, Julie Nagam, project art curator, and three renowned Indigenous artists. 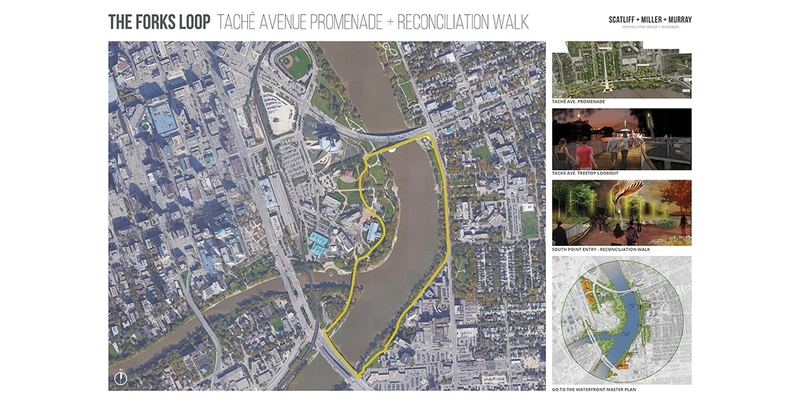 The South Point lands will be one part of The Loop, a 2.5km walk that connects South Point to the Forks, and across the Esplanade Riel to St. Boniface and the Taché promenade. SMM is currently working to develop a wayfinding and placemaking concept to create a sense of place, connecting people to their surroundings and evoking the experiences and memories of that place.